Filiberto was born in the state of Hidalgo, Mexico, in 1982, as the second of seven children. Wendy was born in 1982 in Guayaquil, Ecuador. Filiberto moved from Mexico 14 years ago to Los Angeles with his older brother. Soon, other relatives told him about the beauty and tranquility in Wisconsin, and he moved with relatives to live in Madison. Wendy moved to Jersey City, New Jersey, 17 years ago with her mom and dad. Shortly after, Wendy found out that Madison had a better study opportunity. Wendy and Filo had no idea that they would meet each other. They both worked at Quiznos, where they met and fell in love. That is how their story begins. 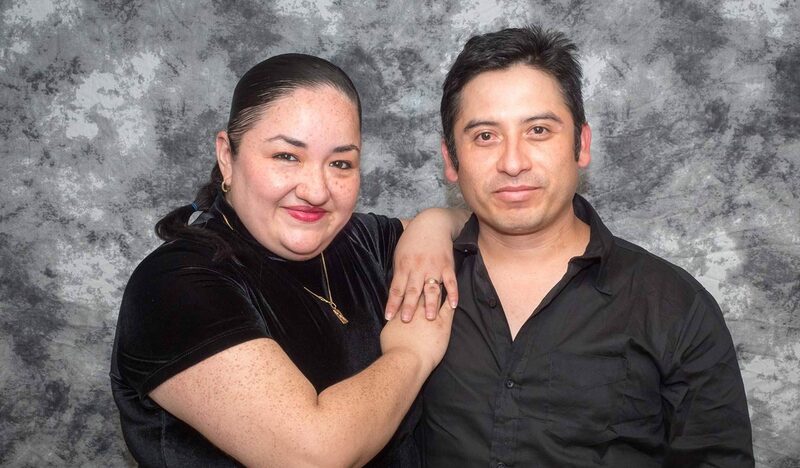 Filo and Wendy worked together, laughed together, fell in love and after seven years of dating, were married. Now they are building their dreams and overcoming obstacles thanks to Habitat for Humanity of Dane County.